Become a better diver and feel more confident that you’ll know what to do in an emergency situation. Completed your Emergency First Response Primary and Secondary Care training within the last 24 months prior to taking the rescue diver course. 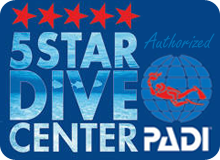 Completed PADI Medical Statement⊕, General Liability Statement⊕, and Safe Diving⊕ forms. You will need two days for this course. If you would like to save time on your vacation and complete your coursework in the comfort of your own home you can sign up for e-Learning⊕ instead of purchasing the required books. PADI e-Learning gives you the convenience of completing the coursework online, at your own pace, and not while you’re trying to make the most of your vacation days. Spend less time with your nose in a book and more time enjoying the sunny days and sparkling water on Maui by signing up for PADI e-Learning before your trip begins! Maui Diving will provide you with all the scuba equipment you need to complete your Rescue Diver course. There is no extra charge for the use of our rental equipment. We even include mask and fins with your rental equipment at no extra charge.  If you decide that you’d like to purchase your own mask and fins after the class, we have a wide variety of options in our retail store. It is great to have your own mask and fins as you’ll want to travel with these items in the future to make sure all of your diving or snorkeling experiences are comfortable and fit you perfectly! All of our Rescue dives are conducted on the beach, however many students choose to upgrade their final dive experience with a boat trip instead of a shore dive at an additional fee. Please call and ask about upgrading your course to include check out dives on a boat.